Long, long ago, in a beautiful part of this coun­try, there lived an Indian with his wife and chil­dren. He was poor and found it hard to provide food enough for his family. 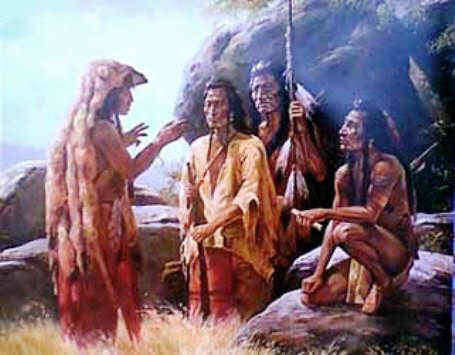 But though needy, he was kind and contented, and always gave thanks to the Great Spirit for everything that he received. His eldest son, Wunzh, was likewise kind and gentle and thankful of heart, and he longed greatly to do something for his people.